Wixom-based Rockwell Medical has responded to a whistle-blower lawsuit by its former CEO Rob Chioini and former CFO Thomas Klema by denying all allegations and countersuing the two former executives in federal court in Detroit. In the U.S. District Court Eastern District of Michigan, Rockwell's board members denied allegations filed by Chioini and Klema that they unduly enriched themselves with compensation and committed securities fraud as the two former executives alleged last month in a whistle-blower lawsuit filed with the Securities Exchange Commission. "Defendant admits only that plaintiffs filed a bogus 'whistle-blower complaint' with the SEC," said the lawsuit filed by Rockwell's attorneys, Honigman Miller Schwartz and Cohn LLP in Detroit, before U.S. District Judge Laurie Michelson. Rockwell also filed counterclaims against Chioini, Klema and third-party defendants Patrick Bagley, a former Rockwell board member, and current board member Ronald Boyd. "For years, Chioini & Co. (Chioini, Klema, Bagley and Boyd) pillaged Rockwell for their own benefits, promoting self-enrichment over proper governance, transparency, and the good of Rockwell's shareholders, employees, and patients in need of Triferic," the Rockwell lawsuit said. In the counterclaim, Rockwell's board lists the time line of events that led to Chioini and Klema's firing. In March, Chioini asked the board that it give him and Klema written employment agreements with "generous" severance provisions, the lawsuit said, "admitting that he believed that he and Klema were likely going to be fired by the board once the independent directors occupied a majority of the board's seats." During April and May, Rockwell's new Chairman Benjamin Wolin, with the support of four other board members, moved to hire an executive search firm to replace Chioini. Various board committees had concluded a management change was needed. On May 22, the Rockwell board voted 5-3 to fire Chioini. The next day, Chioni filed an 8-K report to the SEC that stated his termination was improper because it was done during a special meeting he called to discuss the whistle-blower lawsuit and other allegations against the board. He filed the report along with Klema, who then also was terminated. In a statement Tuesday, Wolin said about the lawsuit: "Importantly, the five independent directors of the board are continuing to make progress on the significant efforts underway to put the company on stable footing, including identifying and hiring a new CEO and CFO, engaging a new audit firm and implementing our new Triferic commercialization strategy." "We recognize how both upsetting and confusing these events resulting from the harmful actions taken by Chioini, Klema, Boyd and Bagley must be for our investors. We will continue to vigorously defend the Company and take actions that are in the best interest of the company and all our stakeholders." Last week, Plante & Moran PLLC resigned as auditor of Rockwell, a bio-pharmaceutical company, over concerns the Southfield-based accounting firm did not receive critical emails it considered reportable events from Rockwell before it completed a recent quarterly filing with federal regulators. The emails exchanged in late March between a Rockwell lobbyist and a federal regulator at the Centers for Medicare and Medicaid Services indicated CMS was not prepared to approve special reimbursement for Triferic, the company's flagship iron replacement drug for kidney dialysis patients. It was unclear from the legal documents filed whether Chioini intentionally withheld the decision from the CMS executive from the Rockwell board and Plante & Moran. Either way, Plante & Moran filed the SEC statement two weeks after the CMS executive informed Chioini and only learned about the omission at least a week later. "What counsel determined had been done in connection with Chioini and Klema's termination was shocking," the Rockwell counterclaim said. "Indeed, the preliminary results of the investigation reveal that Chioini and Klema systemically deleted several thousand emails. And, on information and belief, Klema went so far as to attempt to delete his entire sent mail folder." For years, Rockwell (NASDAQ: RMTI) was counting on Medicare approving Triferic for special reimbursement, which the company believed would boost shareholder stock prices. Teresa Goody, an attorney for Chioini and former CFO Tom Klema with Goody Counsel PLC in Washington, D.C., said Chioni and Klema have been trying to protect the company and shareholders for the past several months. "(The counterclaim) plain and simple is further retaliation for disclosing wrongdoing to the SEC and the Justice Department in a timely and responsible way. Judicial process cannot be used as a smoke screen to conceal timely reported violations of federal law and governance. Rob's and Tom's activities at all times have been about protecting the company, its shareholders, and its employees. The counterclaim is the latest attempt to continue hijacking the company," Goody said. "The implicated directors are defaming the CEO and the O who are acting to protect the company." Goody said the five Rockwell board members who voted to fire Chioini and Klema and filed the counterclaim against them "are alleged to have repudiated corporate governance best practices and brazenly abandoned their fiduciary duties in favor of acting in their own self-interest." She also denied that Chioini and Klema filed the whistle-blower lawsuit out of a belief the board had hired a search firm to replace them. "Rob and Tom were talking with securities lawyers for many months about board members not keeping information secret and sharing it selectively with shareholders," said Goody, who said she was hired sometime in April or May. "They felt they had no choice but to file a SEC whistle-blower complaint." Over the last several years, Rockwell has financially underperformed as activist shareholders who pressed Chioini over the past several years to improve the company's governance, strategy and operations. Over the past two months, Rockwell's share price has dropped from $5.94 on May 22 to $5.12 on June 15 to $4.56 today. The five-year high was $18.01 in July 2015. 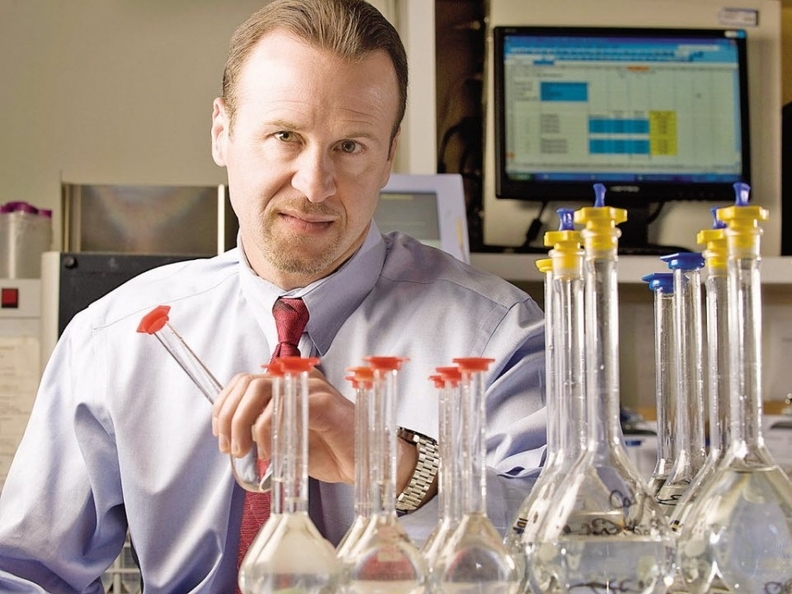 "Rockwell Medical countersues former CEO, CFO" originally appeared in Crain's Detroit Business.